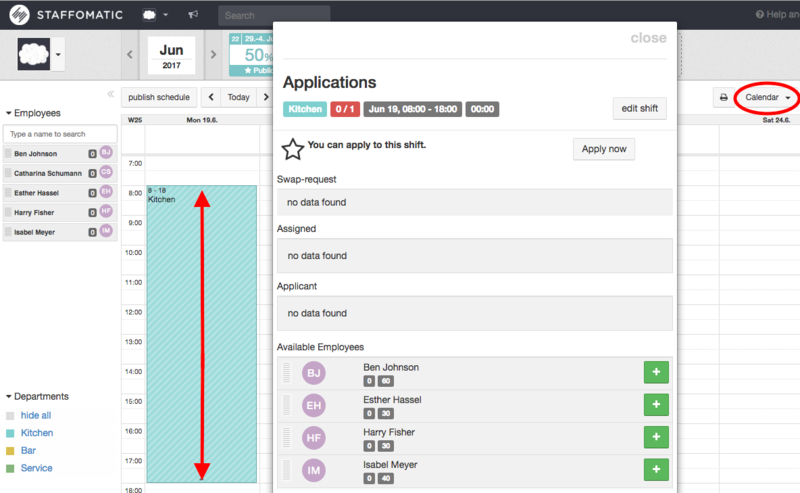 In the list view you can simply click on the '+' icon in the particular day to create a new shift. A new window will open where you can set the details such as time. 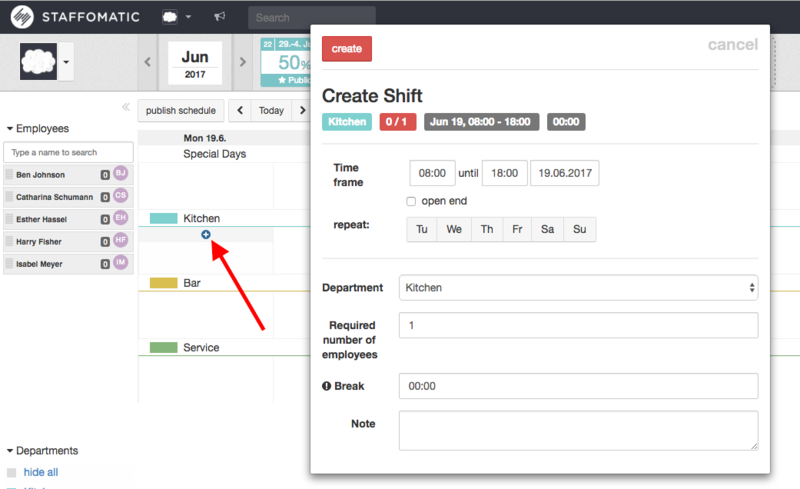 After clicking on 'create' the shift will be shown in the weekly schedule. In the calendar view you can draw a shift in the desired timeframe. The same window like in the list view will open where the details can be determined.